The new bus route will operate every 20 minutes. A NEW BUS route from Ballymun to Bray will begin operating on Sunday 24 March, Dublin Bus announced today. Route 155 will operate seven days a week between furniture superstore IKEA in Ballymun on Dublin’s northside all the way to Bray Rail Station in Co Wicklow. The new bus route, which will operate every 20 minutes, will service Dublin City University, Phibsborough, the city centre, Donnybrook, University College Dublin, Stillorgan, Cabinteely and Bray. The first 155 will depart at 6am Monday to Saturday with an 8am start on Sundays. Ballymun councillor Independent Noeleen Reilly has said that the new 155 bus route will “not only provide additional support for the number 4 and the 13 bus routes but Bray is a very popular location and to have a direct bus route there is very welcome”. “I can see especially in the summer time that this new destination will become very popular with people in Ballymun”. “Residents are extremely pleased as currently you need to get a number of buses, or a bus and a train out there”. 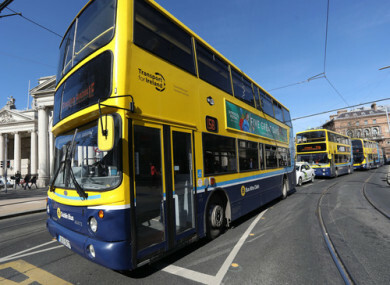 Local TD Noel Rock has said the new route “makes a lot of sense for people on the northside and effectively increases capacity from IKEA to the City Centre to 8 buses an hour each way”. “Many IKEA workers had contacted me looking for this route as the current services weren’t starting early enough,” Rock has said. “This new route remedies that”. “There will also be a big improvement in Ballymun’s 13 service starting the same day – with one bus running every ten minutes at peak time”. Email “Dublin Bus announce new route from Ballymun to Bray ”. Feedback on “Dublin Bus announce new route from Ballymun to Bray ”.